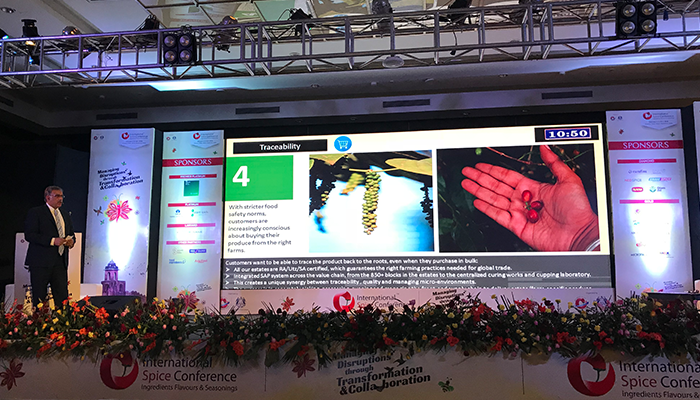 Sanjiv Sarin, Managing Director and CEO addresses the International Spice Conference on ‘Transforming Indian Agriculture’. Sanjiv Sarin addresses the International Spice Conference as a panel keynote speaker and discussion moderator. Presenting on the topic, ‘Transforming Indian Agriculture’, Sanjiv highlighted the need to focus on Sustainability, Premiumization, Traceability, and Communities to drive future value in agriculture and food production.